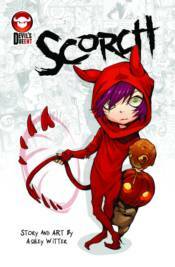 Scorch is a demon living an immortal life as a young teen in suburban America. To gain this immortal gift, she made a deal with a powerful demon who has since manifested himself as a monster (living in her closet) to keep tabs on the debt she needs to settle - the payment: 10,000 souls, plus interest. Accompanied by her gang of misfits, hoods, and dweebs, Scorch sets out to discover her true past, prevent the end of the world, and pass the 10th grade.